While there are myriad things one can do with an old iPhone—turn it into a universal remote, use it as a security camera, trade it in for health care, chuck it at birds—digital artist Seth Kranzler may have hit upon the most useful. 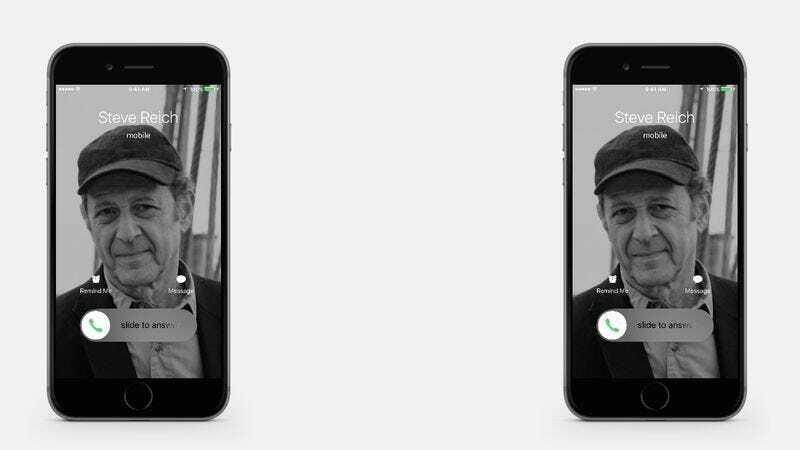 In his short piece titled “Steve Reich Is Calling,” he pays tribute to the minimalist composer’s experiments with loops and phasing by putting two iPhones playing the “Marimba” ring tone together, the phrases wending in and out of time with each other in a constant roundelay. Like Reich’s early works, Piano Phase and Violin Phase, it’s an interesting study in process as compositional technique and the way that the simple repetition of patterns can create unexpected, subtle harmonic shifts. Unlike Reich’s early works, ANSWER YOUR PHONE. ANSWER THAT GODDAMN PHONE GODDAMNIT.